This product is NEW to Duration Windows. Therefore, there will be more information and pictures of installations to follow shortly. For more information contact our sales dept. 2,3 and 4 panel configurations and all panels can slide. Double or triple track option. Triple track system with 3 panels, gives around a two-thirds opening and maximum flexibility. 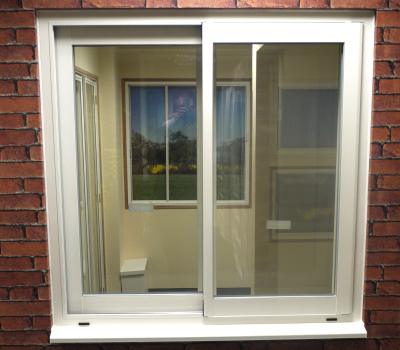 70mm deep outerframe suitable for traditional installations or 122mm for triple track. Has a multipoint locking system. Stainless steel one piece keep. 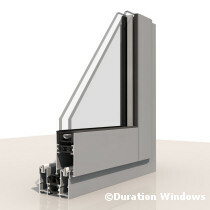 Wrap around glazing system, provides added security and slim sight-lines. Slim-line aluminium profiles with meeting styles of just 35mm. Standard, Medium Duty Or Heavy Duty Interlocks, choose the one specific to your requirements. It has excellent U-values exceeding the requirements for doc L. of the Building Regulations for both new build and replacement applications. Overall U values as low as 1.6.